Horizons academic enrichment and mentoring reduces summer learning loss which increases the likelihood that our students graduate from high school and continue on to higher education. Students, teachers, volunteers and staff form a close-knit community with high expectations for attendance, participation, and individual effort and achievement. 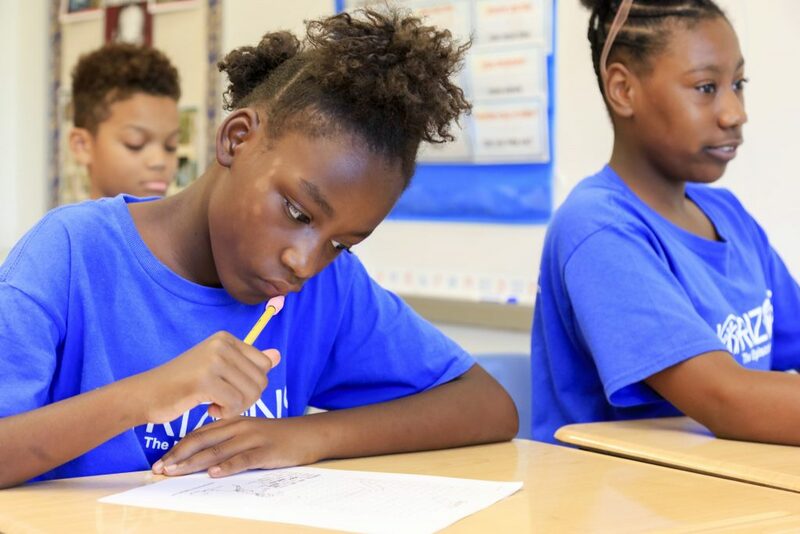 Students gain an average of 8-10 weeks grade equivalence in reading and math during each six week summer session along with increased confidence, motivation and aspirations. What is the most important thing you learned from Horizons? What is your favorite thing about Horizons? “I love Horizons for many, many reasons. One reason is that it gives me the opportunity to share my talents with kids in need over the summer. Teaching in an independent throughout the year is wonderful, but I know there are many children who spend the school year in a less fortunate place. I love sharing the happiness of my job with these kiddos over the summer.